If you have ever used a co-branded credit card then you know exactly what white label banking is. White label essentially refers to a product or service that is developed or manufactured by one party and marketed and sold by another. So if you have a credit/ debit card issued by your local supermarket, your telecom service provider, or perhaps even the city’s transit authority – it’s most likely a white label product. 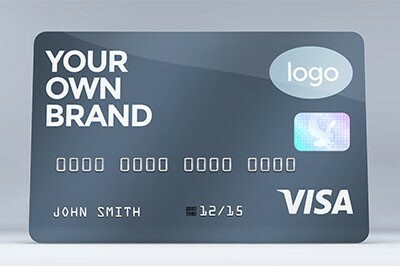 Such a card would be serviced by a bank/ credit card company like Visa but be rebranded and then marketed and sold by any company which has the means and reasons to do so. White labelling is not only restricted to credit/ debits cards however. Payment processing, omnichannel product support, core banking systems, personal finance management, client support services, analytical tools etc. are all being used under white labelling arrangements. Why do companies use white labelling? The simple answer is to save time and money. It might even serve us well to think of white labelling as a sort of outsourcing or using a vendor to do things that are not part of your core competency. Suppose a small bank wants to start offering banking services through an app on smartphones. Developing such an app would be costly and time consuming and it’s really not the core competency of the bank. They can simply purchase an app already developed by a specialized vendor for this purpose and simply add their branding and logo on the first screen. The benefits this provides are easy to see. Some banks, however, are of the opinion that this adversely affects the uniqueness of their service offerings and makes their products more commoditized. Most of the large banks, therefore, have their own in-house IT teams (which are sometimes bigger than actual IT companies), working away on various IT projects. The other reason is scale and focus. Not every company wants to offer a full stack of banking services. Economies of scale works both ways – if you want to build a niche and focus on a very small area you do not need to make large scale commitments on product development and infrastructure. Just buy what you need from a white label service provider and ignore the rest. White label service providers are specializing with time. This means that they keep getting better and better at the things that they do. Eventually, we are likely to reach a stage where a white label service provider is the best source for a service, even better than the banks. For example, let’s say a white label service provider develops a highly intelligent application that can help customers analyse their expenses. Over time, this application is enhanced to such a level that it can automatically identify and classify almost over 99% of the line items in an expense report and even suggest places where better prices may be found. Why wouldn’t any bank want to offer this app to their customer, especially when it would take them years to develop something like this on their own, if at all? Such highly specialized and advanced white label products will always find takers in the future.